The largest sale of land to have come to the local market in many years was initiated by the Rothschild family at Ashton. The total parcel included 676 acres with a purchase price of £7m as a whole. The property was also available in 21 separate lots. The estate agency, Bletsoes said that they were very pleased with the amount of interest generated by the property, which sold in a little more than two months. ‘We thought it appropriate to bring it to a close while we had the momentum,’ they said. 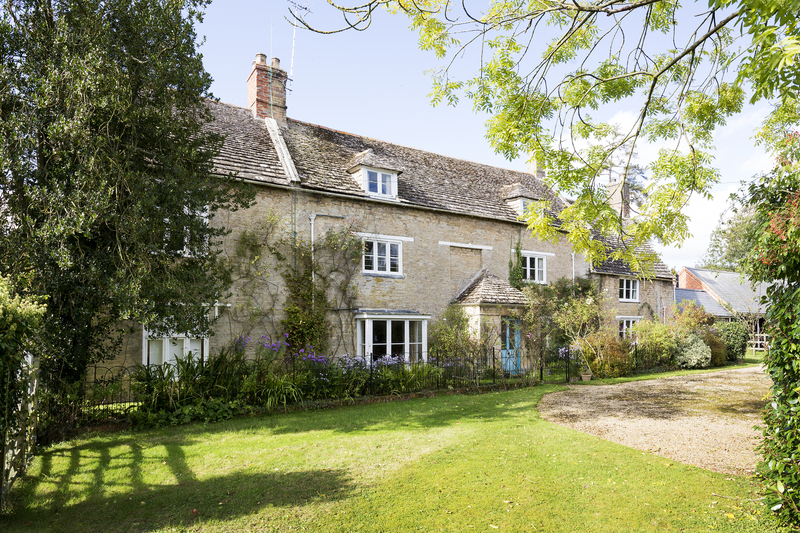 The lots included a seven bedroom Grade II listed farmhouse with 6.55 acres for £1.2m. Also on sale were two further houses, and a range of traditional farm buildings with development potential. Four lots totalling 440 acres of arable land were interspersed between Ashton and Polebook, while 45 acres of mixed woodland at the Polebrook Nature Reserve were available. Five lots of paddocks ranging from two to 14 acres were advertised as suitable for equestrian or amenity uses. Forty-eight acres just over the Oundle parish border were for sale. Bordering the river by the North Bridge, the Boat House Meadows comprised 30 acres of pasture with fishing rights. The land provides a right to water for the adjacent lot of 23 acres, currently used to grow berries under poly tunnels. The boat house, owned by Oundle School, was not part of the sale. The most unusual lot was described as ‘a rare opportunity to buy an island within the Nene River’. Locate behind the former Ashton Mill, the island extends to three acres via a weir, on sale for £40,000. The famous naturalist, Miriam Rothschild was brought up in the manor house by the village that her father, Charles Rothschild built in the Ashton woodlands, an area he chose for its rich variety of butterflies. Miriam worked at Bletchley during the war, and was renowned during her lifetime for her work as an entomologist, particularly for her expertise on fleas. She married Charles Lane and they settled in Oxfordshire to raise their son and three daughters. When she returned to Ashton Wold after her divorce and her children had grown up, her home became a centre for her work as a naturalist, with her custodianship of the Ashton estate driven by strict principles of conservation and respect for the natural world. She died in 2005 aged 96. The estate was divided between her children, who have never lived at Ashton. They have spent many years reviewing how best to manage an unwieldy portfolio of land and buildings. Many of the derelict agricultural buildings have had permission granted for conversion to residential use, while most of the historic thatched cottages that line the village green at Ashton have recently been sold. The current sale comprises land which belonged to Miriam’s daughter, Rozsika Parker, who died in 2010. Ms Parker was a contributor to Spare Rib, an art historian and psychotherapist whose work was characterised by her feminist politics. Dame Miriam’s son Charles Lane owns the Riverside Inn at the entrance to Oundle, which has planning permission for conversion and restoration to commercial use. Despite persistent rumours about business proposals or the building’s impending sale, the property remains derelict.